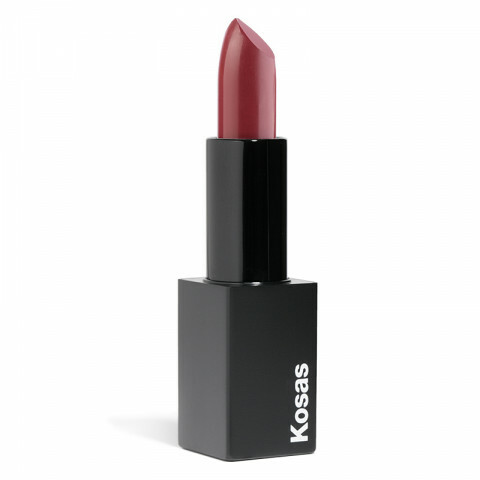 "We are leading a beauty revolution" are the exact words the Kosas brand lives by. We sat down with their chic brand founder, Sheena Yaitanes, to discuss her take on beauty and how the Kosas brand came about. Read on to see her inspirations and get an exclusive look at the brains behind the beauty brand. Where did the name Kosas come from? It comes from the philosophy of the five layers of the self. The physical layer is just one layer, and there’s so much more to beauty than just how we look on the surface. What was the inspiration behind the brand? Women were (and still are) my inspiration. I saw a disconnect between the beauty looks of my closest friends and other people I admired, and what was available. What does your beauty routine look like? I like to triple cleanse before bed. I first use an oil cleanser to melt makeup, dirt, and oil, and then I mix a traditional cleanser with micellar water in the palm of my hand and cleanse again. I love to splash pure rosewater on my clean skin and get 8 hours of sleep. Does your beauty routine change as the season changes? Definitely, mostly because my winter routine is more focused on feeling cozy, while my summer routine is focused on feeling fresh. I weave self-care through every part of my life. For my body through exercise, for my mind through books, for my heart through quality time with my family, and for my spirit through friendship. If you could only use 3 products from the brand, what would it be? The shower. I call it my “office”. How important is it that your ingredients are consciously formulated? What is the best thing about beauty? That it gives you tools to portray yourself in any way you want to. What is your favorite beauty quote? Thank you, Sheena, for sharing your beauty mantras with us! We are so inspired by the brand’s values and how the formulas not only look good on a multitude of skin tones but are also made with botanical ingredients that feel good too.